Will still go ahead indoors if wet. Chris Leslie needs no introduction to Folk in the Barn members. As a long-standing band member of our dear friends Fairport Convention and St Agnes Fountain he is a regular visitor to East Kent to play and sing for us. It is however a rare treat to prise him away from those bands for a solo performance. Hard to believe 4 years will have passed since his last solo visit to the Kingston Barn in 2015. Always a joy to see and listen to, for those who don't know Chris, here's a bit of background. Brought up in Oxfordshire and inspired by local musicians, Chris began playing the fiddle at the age of thirteen. One of his early influences and, later, his mentor was Fairport Convention's then-fiddler Dave Swarbrick. Chris studied violin making in Nottinghamshire and completed his three-year course in 1983. Back to Oxfordshire, he was invited to tour with Dave Pegg to promote Dave's solo album. Dave Swarbrick then invited Chris to become a founder member of the pioneering acoustic group Whippersnapper. This band made several albums and toured the UK, Europe and the USA. Chris also toured with rock group All About Eve. During the 1990s, Chris worked as a duo with Whippersnapper guitarist Kev Dempsey, collaborated with folk pianist Beryl Marriott, and was a member of Simon Mayor's Mandolin Quartet. He also played fiddle on tour with Ian Anderson of Jethro Tull. In 1995 Chris joined The Albion Band, touring and recording with them before joining Fairport Convention the next year. As well as playing and recording with them, Chris has contributed many songs to Fairport's repertoire. 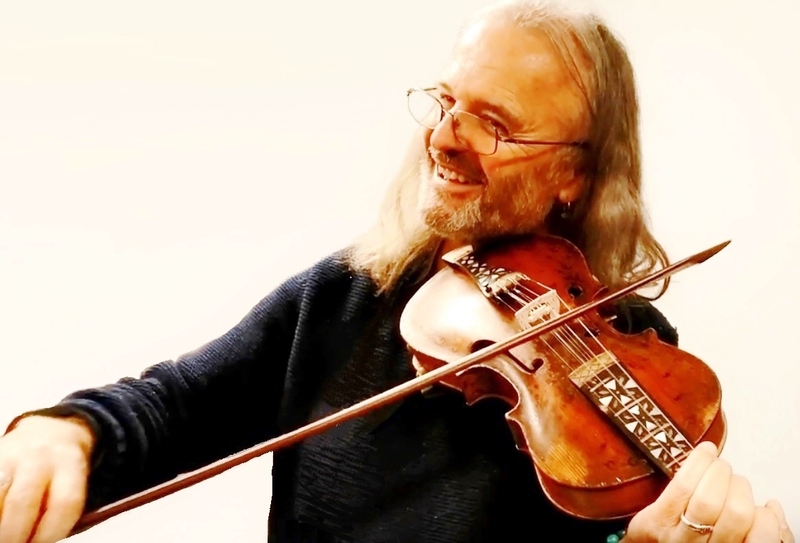 He has played and recorded with, amongst others: Steve Ashley, the Albion Band, Jez Lowe, Ian Anderson, Chris While and Julie Matthews, Whippersnapper, Alan Stivell, Feast of Fiddles and St. Agnes Fountain. Chris has provided music for a number of Radio Four plays and classic serials. His fiddle playing has also been heard on the TV series Heartbeat, Midsommer Murders and Billy Connolly’s World Tour of Scotland. Chris plays: fiddle, mandolin, tenor guitar, bouzouki, ukulele, banjo, oud, whistle and Native American flute and has one of the most beautiful singing voices in the folk scene. Come and celebrate the end of the Summer Season with us in this beautiful garden. Bring chairs/blankets and a picnic, we will provide strawberries and cream and a glass of Pimms! Perfect!